Preheat a a large pan and add 1 tbs of oil. 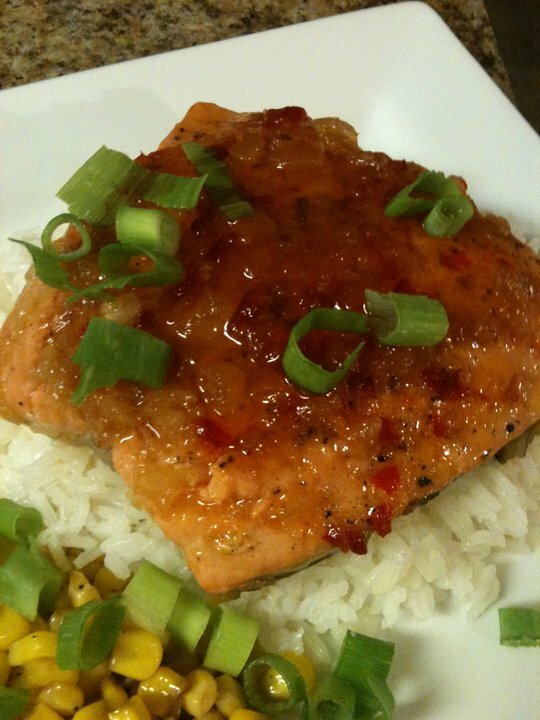 Whisk teriyaki sauce, water and pineapple and pour over fish. Cover and cook for another 2 minutes. Stir together pineapple preserves, 2 tsp teriyaki sauce and chili sauce. Spread over fish, turn off heat and let stand for 2 minutes before serving. Serve over a bed of rice, with steamed veggies or with corn.